A very big thank you to Rodney Peoples, Marilyn Nutter, and Patsy Fine who all led such wonderful work shops for World Tai Chi and Qigong Day! I very big thank you to Pete Plitt as well for all the help with setting up, running, and cleaning up the Dojo for our celebration! And I very big thank you to all of the wonderful people who came and made the day so enjoyable! We always enjoy this event and we are glad you all enjoyed it today as well. 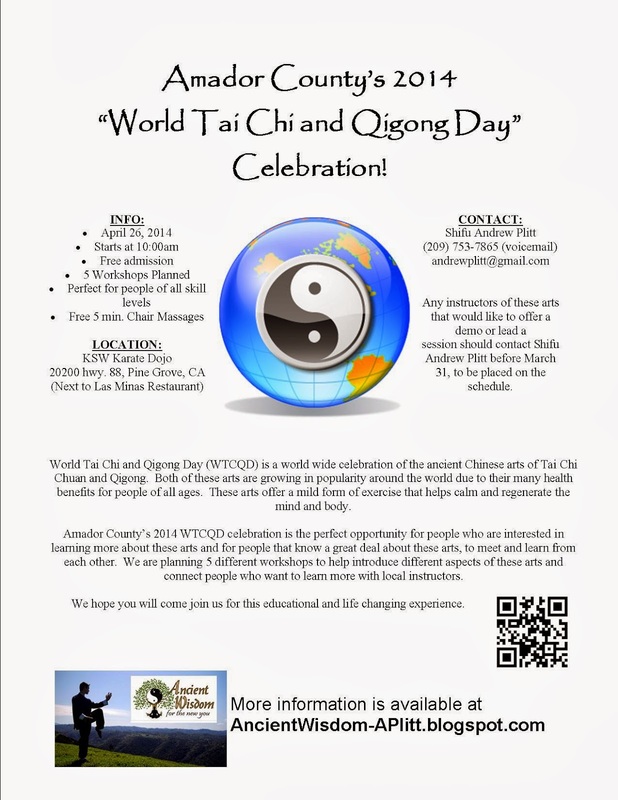 We hope you all can join us for the world Tai Chi and Qigong Day celebration next year as well! Unfortunately we did not take any pictures of this celebration, but we did get some video footage of some of the workshops. So stay tuned for that footage to be posted. 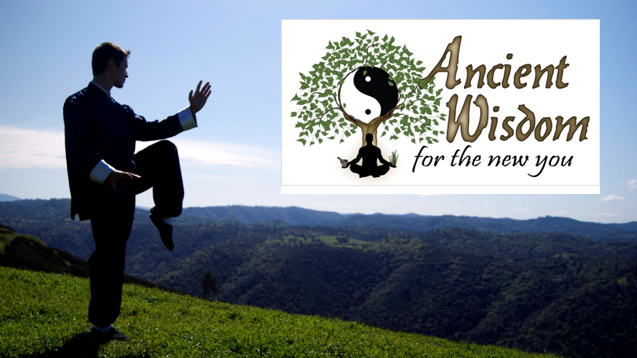 We have finalized the schedule for Amador County's World Tai Chi and Qigong Day celebration. The first workshop will start at 10:00am, so please try to arrive a little bit early if you plan on attending this workshop. We are very excited to have workshops led by such wonderful guest instructors, who have volunteered their time to add a great diversity to the knowledge that will be presented at this event. We look forward to seeing you all there!